Balochi is a Northwestern Iranian language. It is the principal language of the Baloch people. It is also spoken as a second language by most Brahui. Balochi is categorized as one of the Northwestern Iranian languages along with Kurdish. The Balochi vowel system has at least eight vowels: five long vowels and three short vowels. The long vowels are /aː/, /eː/, /iː/, /oː/, and /uː/. The short vowels are /a/, /i/ and /u/. The short vowels have more centralized phonetic qualities than the long vowels. Southern Balochi (at least as spoken in Karachi) also has nasalized vowels, most importantly /ẽː/ and /ãː/. The following consonants are common to both Western Balochi and Southern Balochi. The place of articulation of the consonants /s/, /z/, /n/, /ɾ/ and /l/ is claimed to be alveolar in Western Balochi, while at least the /ɾ/ is claimed to be dental in Southern Balochi. The stops /t/ and /d/ are claimed to be dental in both dialects. The normal word order is subject–object–verb. Like many other Indo-Iranian languages, Balochi has split ergativity. In the present tense or future tense, the subject is marked as nominative, and the object is marked as accusative. In the past tense, however, the subject of a transitive verb is marked as oblique, and the verb agrees with the object. There are two main dialects among the Balochi language, one with the Legharis or northern tribes and the other with the Mazaris or southern tribes. The differences among the Mazaris dialect from that among the Maris, the Bugtis, the Shambanis, the Kacchi Plains people and those of the Bolan Pass are slight and as such are said to all be the same. The grammatical terminations by the northern tribes are less full and distinct than those in in the southern tribes. Before the 19th century, Balochi was an unwritten language. The official written language was Persian, although Balochi was still spoken at the Baloch courts. British linguists and political historians wrote from with the Latin script, but following the independence of Pakistan, Baloch scholars adopted Urdu Arabic script. The first collection of poetry in Balochi, Gulbang by Mir Gul Khan Nasir was published in 1951 and incorporated the Urdu Arabic Script. But it was much later that Sayad Zahurshah Hashemi wrote a comprehensive guidance on the usage of Urdu Arabic script and standardized it as the Balochi Orthography in Pakistan. This earned Sayad Hashemi the title of 'the Father of Balochi'. Sayad's guidances are widely used in Eastern and Western Balochistan. In Afghanistan, however, Balochi is written in a modified Arabic script based on what is used for Farsi. ا آ ب بھ ݒ پ پھ ت تھ ٹ ٹھ ث ج جھ ݘ چ چھ ح خ د دھ ڈ ڈھ ڋ ذ ڌ ڌھ ر ڑ ڑھ ز ژ س ش ص ض ط طھ ظ ع غ ف ق قھ ک کھ گ گھ ڱ ڳ ل لھ م مھ ن نھ ں ڹ و وھ ہ ھ ء ی ے ﻳﮭ ~٠ This orthography of Balochi script has been introduced in his Balochi pamphlet "Balochi Nama Qasim" published in 1987. The same alphabets have been published in his article "Balochki Mundh Likh" in monthly Balochi Nama, Dera Ghazi Khan, August-September 1991, Vol. 1, issue 1, Pp. 24. The following Latin-based alphabet was adopted by the International Workshop on "Balochi Roman Orthography" (University of Uppsala, Sweden, May 28–30, 2000). Ď/ď is same as Ř/ř (ře) so this latter is preferably used to simplify the orthography. Ĝ/ĝ (like ĝhaen in Perso-Arabic script) Only in loan words and in eastern dialects: Ghair (Others), Ghali (Carpet), Ghaza (Noise). Š/š (še) šap (night), šád (happy), meš (sheep), šuwánag (shepherd), wašš (happy, tasty). Ť/ť (ťe) ťung (hole), ťíllo (bell), baťť (cooked rice), baťťág (eggplant). Ž/ž (že) žand (tired), zindaghi (life), žáng (bells), pažm (wool), gažžag (to swell), gužnag (hungry), Mauz (waves). ^ Nordhoff, Sebastian; Hammarström, Harald; Forkel, Robert; Haspelmath, Martin, eds. (2013). "Balochi". Glottolog 2.2. Leipzig: Max Planck Institute for Evolutionary Anthropology. 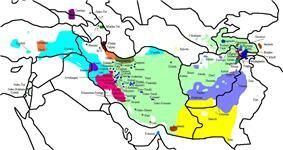 ^ "Eastern Iranian languages". Encyclopedia Iranica. "Baluchi, a North-Western Iranian language, is spoken chiefly in Pakistan, in the south-eastern corner of the Iranophone area." ^ See Farrell (1990) for Southern Balochi (as spoken in Karachi, Pakistan, and Axenov (2006) for Western Balochi as spoken in Turkmenistan. ^ See Axenov (2006) and Farrell (1990), respectively. Elfenbein, Josef (1997). "Balochi Phonology". In Kaye, Alan S. Phonologies of Asia and Africa 1. pp. 761–776.